Another winter is on its way—but that shouldn’t mean wardrobes need to become bleak. 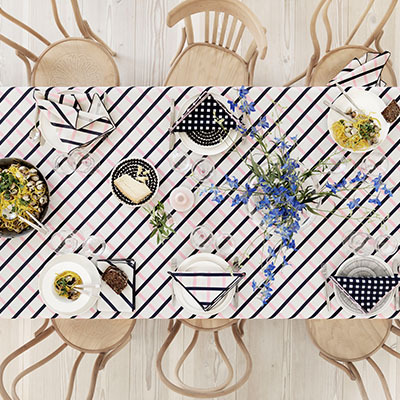 At least, that’s what Finnish design house Marimekko seems to be suggesting with their 2016 fall/winter collection. Creative Director Anna Teurnell is leading the brand’s design team to celebrate colder months and powerful women with richly-colored, monochromatic pairings and retro florals we’ve rounded up that make for some of the coolest winter fashions! Turn heads in all red. 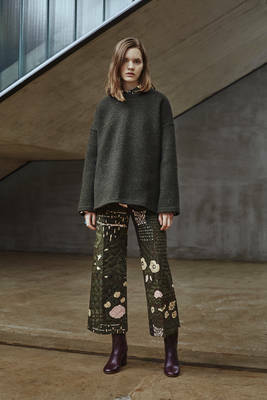 Marimekko’s ready-to-wear fashions boast bold color and pattern combinations that simply can’t be overlooked. After all, tone-on-tone pairings are hot this season. 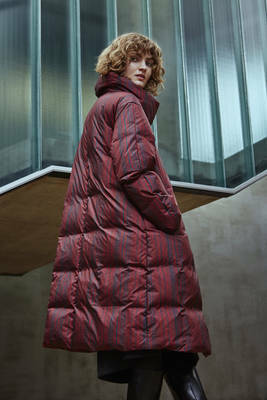 From crimson to ruby, what else but brilliant shades of red could evoke the spirit of a siren against a white backdrop, even when donning a puffy winter coat? Going for a natural look? Take an earthier approach and be all about comfort with woodsy hues like forest and moss green, taupe, chestnut browns, and blacks instead. Kick the soft look up notch with a pair of mahogany booties to create contrast and introduce another rich color found along nature’s trails to the mix. 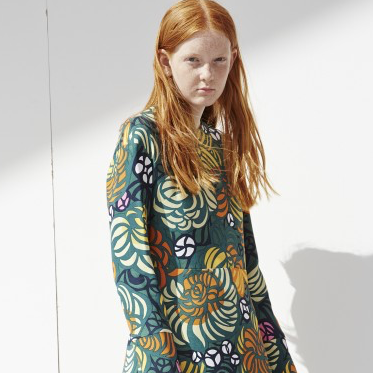 The same way florists replace wilted flowers with fresh blooms, Marimekko shows us how to swap summer’s sundresses for modern silhouettes and retro florals reminiscent of the 1970s. Breathe life into work or weekend looks by matching the season-appropriate fabrics like this chic wrap skirt and Riikka Pieni Pioni handbag we love, proving all-over florals aren’t just for May and June. Hitting the streets in all gray can be more attention-getting than you might think. Ornate, all-over prints are a detailed way to add playfulness to the edgy tone that’s never on the fringe of high fashion. Add lots of texture to an otherwise classic gray look (and a pop of rick color underneath) for that extra level of intrigue that underlies all of Marimekko’s creations. Find the perfect color and patterns to suit your winter style! Shop Marimekko or visit their store at 140 Newbury Street, and welcome colder months with the coolest of head-to-toe looks.